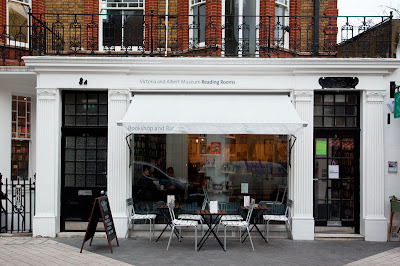 Most book shops don't encourage reading before you buy but the Victoria and Albert Museum bookshop in Thurloe Place combined with a wine bar encourages you to read the quality books with glass of wine or cup of coffee in the intimate rooms with high ceilings and floor to ceiling bookshelves. I love those bookshops with a coffee corner, but wine is even better. Oh, this sounds like my kind of place. A glass of wine and a good book to browse through sounds like perfect entertainment. When is the Wine-Stained Book Sale? I hope people buy and don't just read! 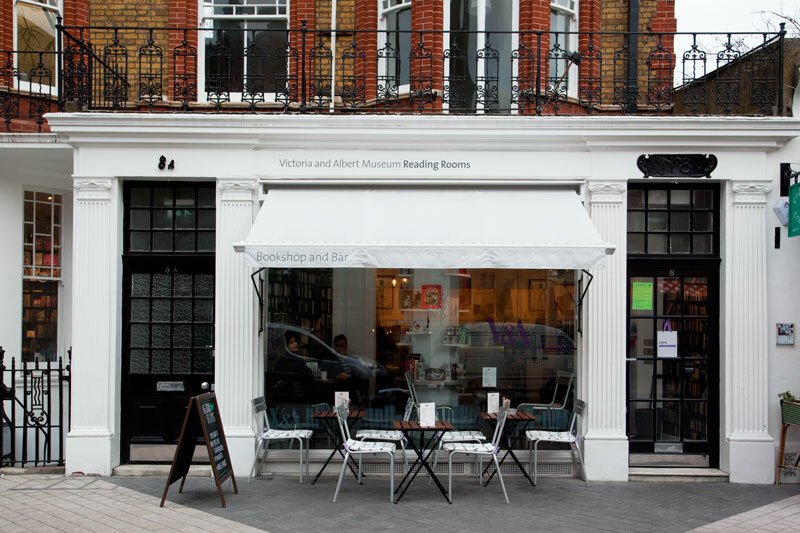 Now that is my kind of bookshop. This has been a staple of book shops in the States for 15 or 20 years. While not pioneered by them, it was popularised by the giant chains who built coffee shops into the stores. That really is different Mo! Most bookshops definitely don't encourage that, they do need the business though with so many people using those computer reading things now! Hmmm you must by when wine splashed on expensive books. We were there just the other day! I lvoed that place and will certainly return! Although Starbucks and Waterstones have joined forces in some locations, they don't come close to this! Um, I think I meant Costa Coffee. Either way, both chains lack the intimacy of this bookshop. And wine is much better! This is definitely a place to visit in the future. Coffee + books? Brilliant!!! !